Welcome to the Connected Concierge! 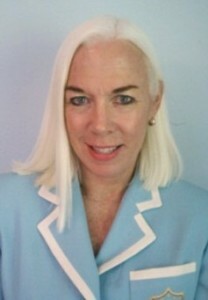 I am Maura O’Hara Kehoe, founder of The Connected Concierge! Though born in New York, I have lived in Cleveland, Ohio for over 25 years. Cleveland is where I have raised my children and nurtured friendships and business relationships that are very important to me. Over time I have had the pleasure of working in many diverse areas which include administrative work at area universities, teaching tennis, working in Cleveland’s finest Antiques business, and serving as a Personal Assistant and Event Planner for theater, music and the arts in our great city. I have always enjoyed being involved in the Cleveland Community and have volunteered extensively for a number of different causes both locally and worldwide. Whether it’s a mission trip to Central America to help those in need or promoting artistic events in our city, I have always had a desire to help others. The creation of “The Connected Concierge” is the natural result of wanting to help friends, co-workers and acquaintances to get things accomplished in the most efficient, timely and effective way possible. As most of you, I have spent a good part of my life juggling all kinds of tasks. I understand the challenges involved in getting every errand, project or event accomplished. Oftentimes there are things that we just don’t have time for in the course of our day or week. As a very connected concierge service, I am able to offer you the help that you need. My small, yet well-chosen team of east side Cleveland entrepreneurial women will accomplish your tasks so that you don’t have to! This team is very select and very connected in the city of Cleveland. They are honest, reliable and thorough. They are task oriented and efficient. We have known each other for many years and are strictly confidential in all matters. We look forward to making your life easier and more enjoyable. We look forward to connecting with you!